Alternative to School or College in Clacton on Sea. Aged 16-18? Are you looking for an alternative to School or College in Clacton on Sea? Whether you did or didn't get the results you hoped for you, we wanted to let you know that there is an Apprenticeship for you!! Apprenticeships are available in almost all industries and range from level 2 up to degree level. Nova Training is an Ofsted grade 1 training provider making us officially one of the highest performing training providers in the country. We offer training and apprenticeship opportunities in Motor Vehicle, Construction, Hospitality, Business Administration, Retail, Warehousing, Sales and Customer Service all of which are supported by Maths, English and Employability Training. 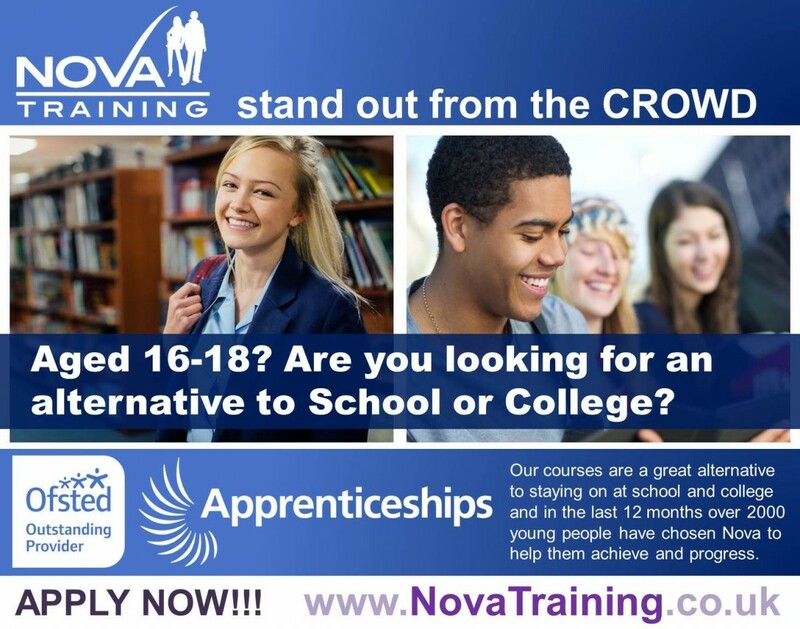 Our courses are a great alternative to staying on at school and college and in the last 12 months over 2000 young people have chosen Nova to help them achieve and progress. If you would like to attend our training centre or would like to find out more about our courses then please give us a call or simply APPLY NOW by CLICKING HERE.